Marrying a king guarantees a turbulent life. Shin Chae Kyung is the daughter of a powerful politician during the Joseon Dynasty. 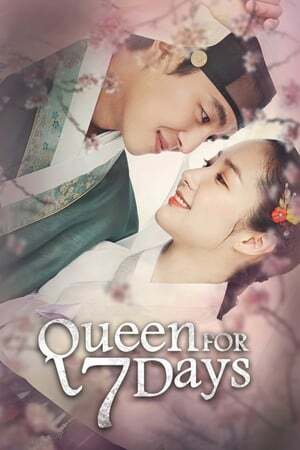 She falls in love with Crown Prince Lee Yuk, who lives under the tyranny of his half-brother, King Yeon San Gun. When Lee Yuk rises to the throne and becomes King Jung Jong, Chae Kyung becomes Queen Dan Kyung, who becomes caught in the cross-fires of different political factions as well as the jealousies between the brothers. When Dan Kyung’s own father stages a coup against the king, Queen Dan Kyung is dethroned only after seven days and expelled from the palace. What will happen to the love between the king and queen when they can no longer be together?